Graham Ascough (BSc, PGeo, MAuDescription industry experience evaluating mineral projects and resources in Australia and overseas. He is currently non-executive Chairman of three other ASX listed companies: Mithril Resources Limited, Musgrave Minerals Limited and Avalon Minerals Limited. Graham, a geophysicist by training, has had broad industry involvement playing a leading role in setting the strategic direction for companies, completing financing and in implementing successful exploration programmes. He was the Managing Director of Mithril Resources Ltd from October 2006 until June 2012. Prior to joining Mithril in 2006, he was the Australian Manager of Nickel and PGM Exploration at the major Canadian resources house, Falconbridge Limited, which was acquired by Xstrata Plc in 2006. Graham was also a Councillor of the South Australian Chamber of Mines and Energy and Chair of its Exploration Committee from 2006 ~ 2012 and has strong ties to the SA Resources industry. He is a member of the Australian Institute of Mining and Metallurgy and is a Professional Geoscientist of Ontario, Canada. Paul Dowd has over 50 years’ experience in the mining industry in Australia and many overseas countries. In April 2012 he retired as Managing Director of PNX, a position he assumed in September 2008, but remains on the Board as a non-executive director. Paul’s experience includes executive management roles including Vice President of Newmont Mining Corporation’s Australian and New Zealand Operations and Managing Director of Newmont Australia Limited, and as a senior public servant – head of the resources and petroleum department in the Kennett Government of Victoria. In 2015, he retired as Chairman of the SA Mineral Resources & Heavy Engineering Skills Centre but remains on the Board. He is a non-executive director of Oz Minerals Limited and Energy Resources of Australia Limited (ERA). Paul is also a board member of the Sustainable Minerals Institute (University of Queensland) and Chairman of the Mineral Resources Sector Advisory Council of the CSIRO. Peter Watson, a founder of PNX Metals Limited, studied Law at Melbourne University and graduated with honours. He has practiced law for over 45 years, specialising in commercial, corporate, resources and trade practices law. He is admitted to practice in South Australia, New South Wales, Victoria and Western Australia as well as the High Court of Australia. For over 20 years Peter was a partner in the national law firm now known as Norton Rose Fulbright. During that time he established, and for 4 years managed, its Perth office. He also managed its Melbourne office for 2 years. In 1996 Peter joined Andersen Legal as its first Melbourne partner and in 1999 was recruited by Normandy Mining Limited as its group legal counsel and a group executive. Following the takeover of Normandy by Newmont Mining Corporation, Peter returned to private legal practice and founded the successful boutique law firm Watsons Lawyers in Adelaide which in 2016 merged with Piper Alderman. Peter is a member of the board of trustees of the Bethlehem Griffiths Research Foundation (a medical research charitable foundation) and a non-executive director of Felton Grimwade and Bosisto’s Pty Ltd (a manufacturer and supplier of eucalyptus products and over-the-counter therapeutic products). David Hillier is a Chartered Accountant and has more than 40 years’ experience in commercial aspects of the resources industry. He has served as Chairman and as a director of a number of public companies in the mining and exploration field, including Lawson Gold Limited and Buka Gold Limited. Throughout 2008 David was Chief Financial Officer and an executive director of AIM listed Minerals Securities Limited, based in London. Between 1989 and 2002, he held a range of senior executive positions in the Normandy Mining Limited Group of companies and was Chief Financial Officer of Normandy for six of these years. David is currently Executive Chairman of a private minerals exploration group. James Fox has been CEO of the Company since May 2012 and was appointed to the Board as Managing Director in November 2014. James has 20 years’ experience in the mining industry. 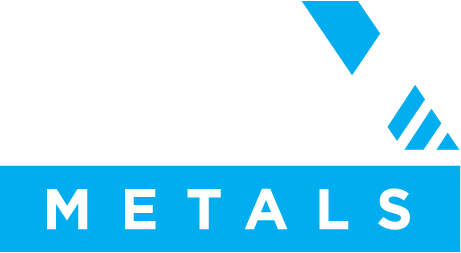 Prior to working for PNX, he was responsible for the development and operation of the Nickel Laterite Heap Leach project at the Murrin Murrin operations in Western Australia. James has held various senior processing positions including Process Manager at the Nifty Copper Operation in Western Australia. He has worked in the UK, Cyprus, Uganda and Australia in gold, lead, zinc, copper, nickel and cobalt mining operations. Angelo Gaudio has significant experience in senior financial positions within the resource sector. Previous roles include; the Chief Financial Officer and Company Secretary for Investigator Resources Limited, Renascor Resources Limited, as well as Vice President, Finance and Administration with Heathgate Resources. Angelo is a qualified accountant with over forty years of finance, management and accounting experience. His expertise includes corporate finance, risk management, financial reporting and corporate development. Angelo is a Fellow of the Institute of Public Accountants and a certificated member of the Governance Institute of Australia. Andy Bennett commenced with PNX in January 2015. He has more than 20 years’ experience in the exploration and mining industry with roles in a wide variety of geological settings at both junior and large companies. Andy has a solid technical background gained from exploration and underground mining positions with WMC Resources and BHP Billiton, where he was Chief Geologist during the Olympic Dam open pit expansion studies. He has also managed project developments, exploration projects and feasibility studies with junior iron ore, gold and uranium companies. Prior to joining PNX, Andy was part of the team which brought the Roper Bar iron deposits in the Northern Territory from discovery into production within four years.